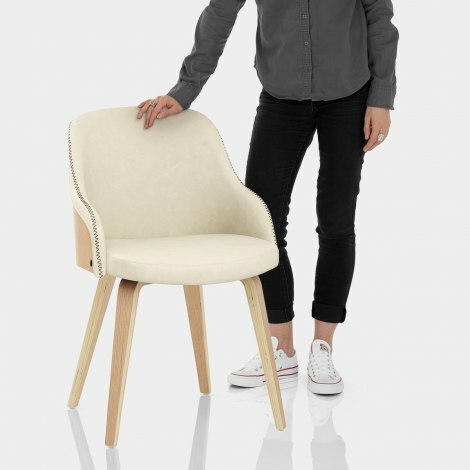 Bring a unique mix of contemporary design and traditional character to your interior with the Fusion Oak Chair Cream. Cushioned for comfort, the seat is covered in cream faux leather, lending a classic quality to its surroundings. 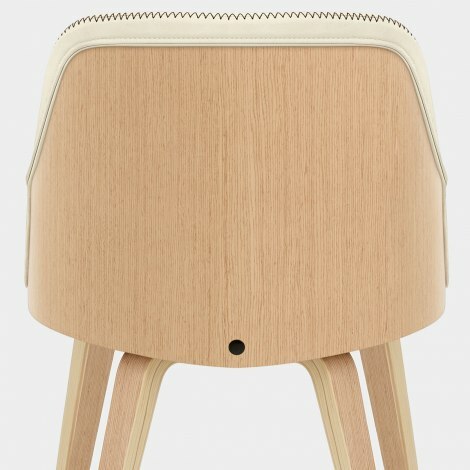 The supportive backrest features an oak finished bentwood shell on the rear, which complements the seat. Sweeping around the seat to create two arms, it is finished with zigzag stitching and piped edging. Matching the backrest, the four bentwood legs have an oak finish and gracefully taper to the floor for a modern touch. Helping to ensure your floors remain scratch free, each leg is capped with a protective pad, making the Fusion a great multipurpose chair. "Delivery when said. Price and quality very good"
Excellent service, next day delivery exceptional. Very pleased with quality of the chairs. We would have no hesitation buying from Atlantic again. Highly recommended. A very good product at a first class price with spot on delivery. Easy on line ordering, Delivery when said. Price and quality very good. Thank you. Would recommend.Chair as described and in perfect condition. Arrived as promised by next day delivery included in price.Will not hesitate to purchase again from Atlantic. Thank you.